Due to some irritating software issues, I’m behind in adding photos to the website. But here are a few highlights from the last couple of weeks. Also note the upper entrances and platforms. 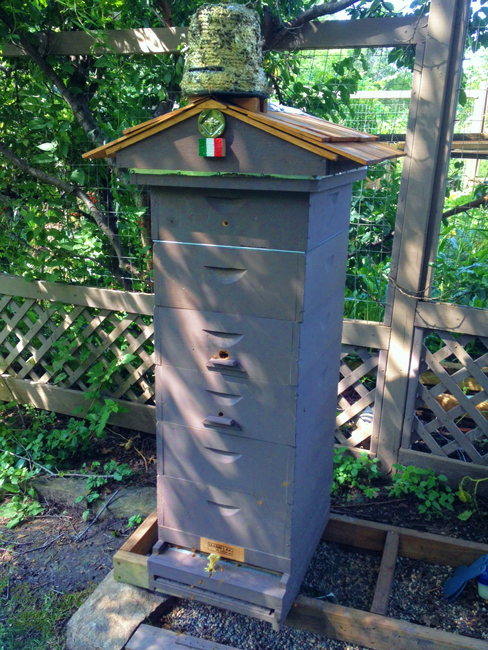 For more photos of this hive, including a close up of the skep, see Reader Hives. 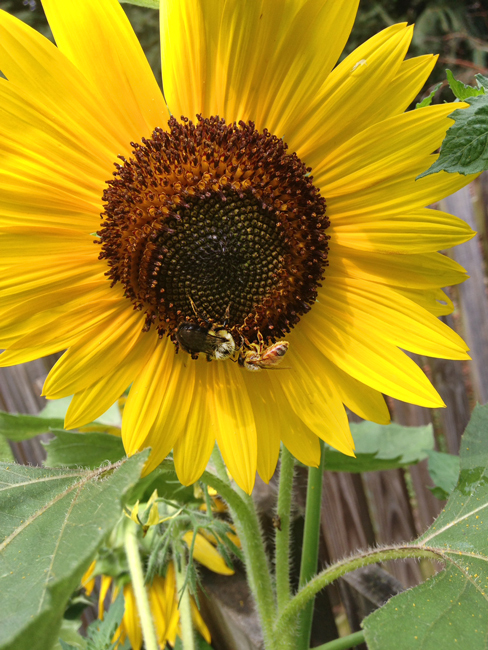 Several more people have sent photos of bees on sunflowers, including this one by Bryan Bender. I love the head-to-head bees, a bumble and a honey bee. More sunflower photos can be seen in the Sunflowers gallery. I will definitely try out the upper entrances and platforms thing. 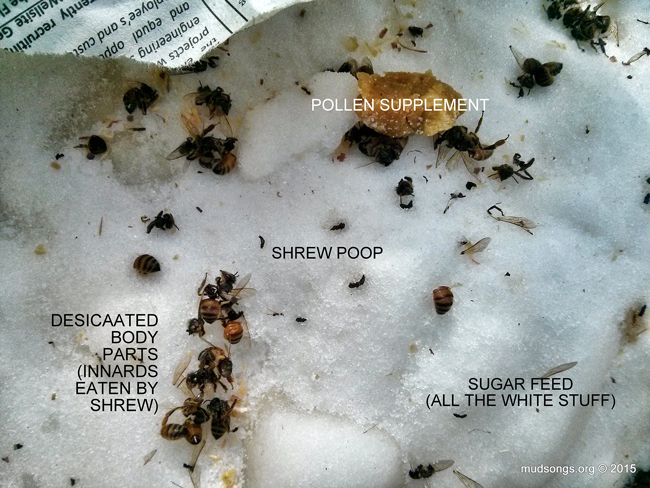 I took detailed notes after you posted the photos of Tony Bees. Speaking of photos, I spelled desiccated wrong. It was my first time spelling it and I did it without a spellcheck. At least I spelled innards correctly. That’s funny. I didn’t even notice it. I liked that photo, though. 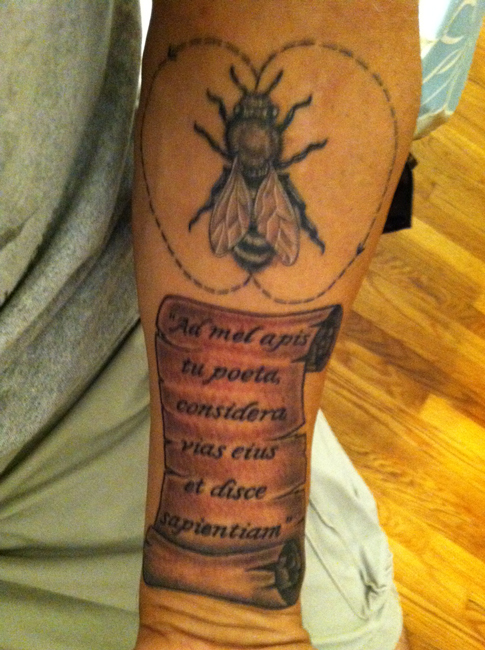 I really like that hive. The bottom board/boards intrigue me, what are they? It appears to be a slatted rack on a IPM board but seems to be another below that. Am I seeing that correct? Anyhow I really like your site. It’s been a lot of help to me. It is a slatted rack above a varroa screen board then on a standard bottom board. I secured that to the bottom 2×4 base for stability.